Weekly Update: July 1, 2012 – We Got This! Late Friday night we had some nasty storms sweep through Northern Virginia. We got off lucky with only the lose of internet service. Some 1.5 million lost electrical power and many are still without. Many were injured and a few killed as a result of the high winds bringing down trees. I consider myself fortunate that the worse that happened to us was I couldn’t get a post out yesterday. The lose of power for us would be devastating in Ryan’s care. Podiatrist. A very good friend of ours was able to track down a podiatrist (i.e., foot doctor) who is willing to come to our home. This will happen tomorrow morning. Our primary goal is to fit Ryan with special footwear that will minimize rubbing and potential skin breakdown. 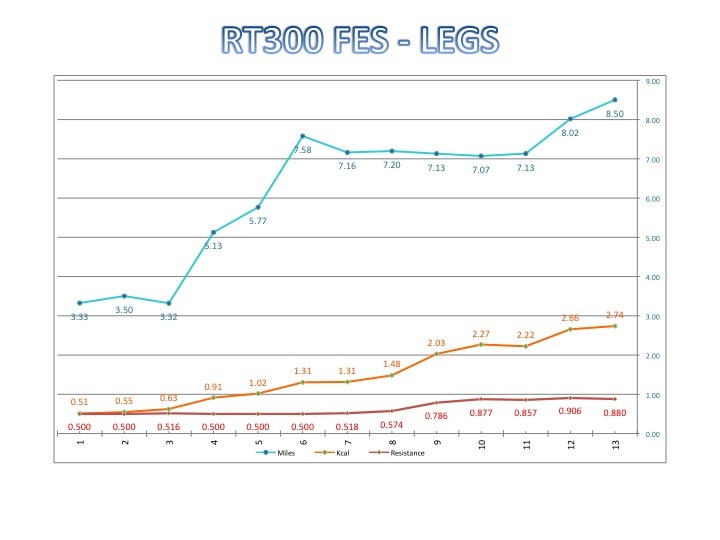 He is most at risk of this during his therapies, especially when peddling away on the RT300 FES. For Ryan, he has two area that are susceptible. The first is on the knuckles of his big toes. The other is the bony protrusion on the top-lateral (just below the ankle) of his foot. Secondarily, we’re interested to see if there is more that can be done to help reverse his foot drop. UTI? Ryan seems to be holding the advancement of an infection at bay. At least for now, anyhow. He continues to have leukocytes (white blood cells) present in his urine, but absent nitrites. The presence of leukocytes means his immune system is engaged and trying to fend off an infection. Nitrites are a sure sign of bacteria, since this is their byproduct. The latest urine test strip (overnight) showed a decrease in leukocytes from the greatest of +2 to +1. We continue to check this daily. Total Sessions: Legs = 78. Arms = 84. Total Calories Expended = 125,000 (I believe this is overstated at least by double). Total Hours Exercising: Legs = 82. Arms = 43. Jonathan May. Despite being employed since September of last year (as I believe), he has made no payment toward his criminal court restitution. Unfortunately, this will need more legal action against to collect, unless he tends to his obligation soon. For Ryan’s sake, I will be relentless in holding him (and all others who have or will be implicated) fully accountable. Make no mistake about that. Austin Vantrease. Last week he was transferred from the Martinsburg Correctional Center to the Huttonsville Correctional Center (HCC). From what I can speculate, this is related to his attempt for parole. He is eligible this month. I’ll keep everyone posted as the situation unfolds. Anyhow, HCC is seemingly a rough place… with bad people. I confirmed that it does house Level V inmates (maximum security), but they also see some lower level threats come through. I wonder what level Austin is? I would think he’s a Level V based on his crime, but they might use other factors that I’m not aware. 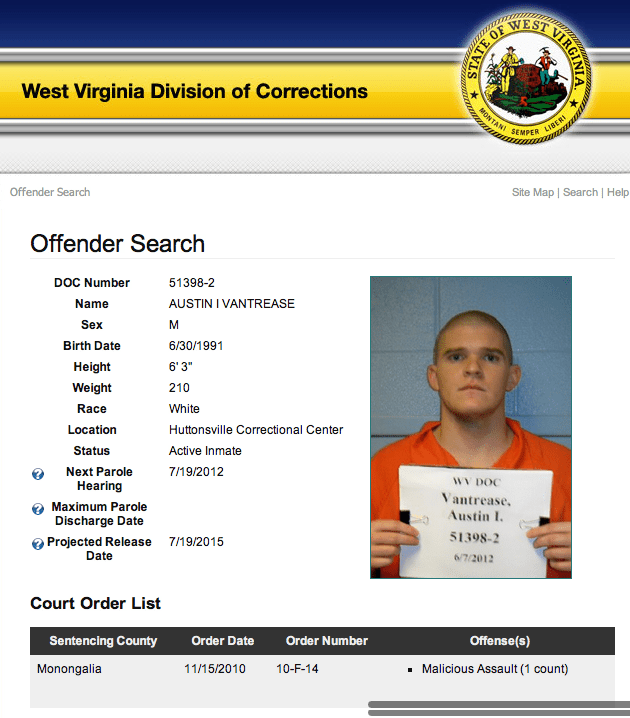 Anyhow, if you’d like to see an example of how I’m notified about his whereabouts and/or reader comments on HCC’s environment, just click on yesterday’s post Austin Vantrease: Now at Huttonsville Correctional Center. It will open in a separate window. Vacation. In a different time, this is the week our family took vacation. These were some wonderful and memorable times. Now, they just hurt to recollect. It will be a hard week on me, and I’m feeling the sadness already today. Please stay with me throughout the week if I start to get melancholy. Pinterest/Social Media. A debate happened about my use of Pinterest. It was a worthwhile exchange and all people made their points in a (mostly) diplomatic way. Thank you for being civil. I agree that it is a “woman” media. Still, it serves my purpose of visually representing all aspects of Ryan’s care and treatment. I guess I unwittingly bucked the trend. I seem to have a knack for thinking outside the box. Still, it has proven worthwhile in attracting readers and acting as a crossover social media. It also gets information and photos onto the search engines. This might be its most valuable function in my case. You see, the more sources information comes from, the harder it is to bury it or pay to have it unlinked. I take precautions of my own for when an attempt is ever made to disassociate ryansrally.org from certain people. For example, I run several (non-public) mirror sites under different domain names that I can activate with a few mouse clicks. Yes, this will work fine but the best approach is to have information scattered across the internet. The idea is to create a digital footprint so large that it is impossible to hide. This is why it is so important to me that you share as much as you can as many ways as you can. If I could just get everyone to click “share” on Facebook, Pinterest, Twitter, etc., the effect would be even more enormous (although it probably already is). I wonder if you have a generator? I know they are expensive and we have yet to purchase one, but certainly in your circumstances, wondering if one could be donated by a business in the community? Happy to hear Ryan is fighting the potential UTI. We have a small 6-outlet gasoline powered one. It’s still in the box, but handy if we ever need it. We also have his critical equipment on battery back-up, that should bridge a two hour outage. Glad you got the update out to us today, Ken. We have cultivated the habit of reading you every day and we miss you and get extreme symptoms of withdrawal when you don’t post. 🙂 Strange, but true. Really now, I know it’s always for a reason. We will be on the alert for symptoms of melancholia, you betcha! Just wish that somehow you and Sue could get over to the beach for a couple of days and listen to the healing sounds of the surf. A recording just doesn’t do it! I know — wishful thinking, but could you even take turns once in awhile? I’m sure Kari would jump at the chance to go along with either of you. Very good news that Ryan isn’t showing further symptoms of yet another UTI. You and your family should be at the beach, enjoying time together, laughing and having fun. This is one of the countless things so cruelly stolen from you. Be melancholy, be mad, be angry, be sad…but just be with us. With love and prayers BOMBARDING YOU AT EVERY CORNER and then SOME!